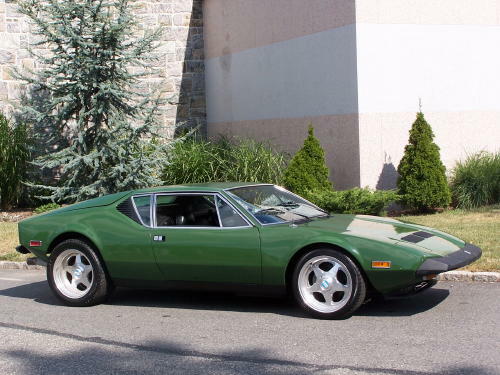 Has anyone on the East Coast seen close up/inspected or know any of the history of the green 74 that is for sale by Gullwing Motors on Long Island? Could this be the one beggig for a spot in my garage finally !, providing it is in reasonable condition that is, it's just a long trip from the West to East coast to find out its a junker . A couple of years ago, Gullwing had both a GT5S and a GT5 for sale at the same time. The 5s sold in the mid 40s. Not sure what the GT5 sold. Thanks for the heads up and the Geography lesson, apologies its all East Coast to us desert dwellers. Joules5 my advice buy from the West coast. The one car I bought from the East coast was rusted together. When I went to rebuild the front suspension I had to cut it out nothing was any good after I got it apart because I had to use a sawzal and air hammer to disassembly it. I had to buy new K member, upper and lower arms, and strut rods from a West coast parts car to get it back on the road. I'm sure there our exceptions to my experience but why take a chance when we have so many good cars out here on the West coast where you are located. By the way It was not a Pantera it had the motor in the front. I agree I'm also about 30 min from Gullwing and I bought my Pantera in Calif with no rust, I paid close to 30 and it was a high number for the condition, but I will save it when I strip it and resto it. NY is tough on metal and paint, and if a car like a Pantera with history of rust, NY is not the place to start. My 2 cents !! Thanks for the back up support accobra I was afraid I might get a beating from the East coast member on this post. But your right in the long run your money ahead. Ok guys you want to buy a decent Pantera ? I seen this one thru the Glass window. It sits in a Dealership on RTE 17 Ramsey NJ. Its a newer Pantera 1987 ???? I think I heard between 25 and 30K. Maybe the other guys in the area can eleaborate on this car. I know that the car is in good condition but, I have not touched it or heard it run. I think the Jersey Pantera guys can give some info on this car. Oh and I have another lead on a Pantera that my STEEL SUPPLIER has owned since new and sits in his garage. I'm going to buy steel tomorrow ! LOL But hes a grumpy old soul so who knows ?? The car in Ramsey NJ is a 1987 GTS narrow body car. It was originally purchased by Charlie Seabrook direct from the factory. It is a narrow body car with no add on flairs of any kind. It has factory 8 and 10 inch campy's. The interior was very rough: burlwood dash facia cracked in may places, seats showed heavy wear and had holes, loose wires under dash. The paint is ok. The body has some dents and dings, the front bumper has the emblem missing, one of the rear quarters has a large ripple. The transmission is good, the engine ran ok, but smokes blue on deceleration (probably valve seals). I believe the engine is either a windsor or maybe a clevor. Car did not have any apparent rust and has factory 4 wheel vented disc brakes. Has wing and sugar scoop and front GTS air dam. Car is red with beige interior. The guy was asking 28K 2 years ago, which was about 8K too much. Car is located at Ramsey Puegot, on Route 17 South in Ramsey, NJ. I wouldnt buy a car from over here either, believe me I bought my car(not a DeTomaso) from Ca way to humid and salty around here!! The late model GTS at Ramsey has sold according to their guy when I called. Next lead?? I'm happy to say that my search is over and I can dust off the wrenches. The ZF will be the first job as she needs a second gear syncro. Already have one of Coz´s ZF manuals in the mail. Is this the car from LI City NY ? Great! Nice Car best or luck !!! Looks like a great car. Welcome to Pantera World . My little project car is not even safe to drive around the block yet, but it makes me happy. That is all that matters is that you are happy. Good luck with your new Pantera, Joules!